I care passionately about Brownhills Common; I grew up, playing here, and it’s where I learned to recognise tree and animal species. It’s a very special place. I haven’t forgotten the issue of Brownhills Common and the heathland restoration works, and nor will I let it slip – but the voice of the conservationists deserves to be heard properly. Most of the points raised by those opposing the project are effectively and precisely dealt with by the experts, and they should be listened to. I received a press release from Walsall Council today, stating that following the brouhaha over Brownhills Common and the subsequent petition, there is to be a special scrutiny meeting at the Council House on this very matter, next Monday, 13th May 2013, at 6pm. If you’re curious about the proposals, there’s currently a display erected in Brownhills Library at the Parkview Centre in Brownhills. Here you can find out what’s planned and what the options are for undertaking the work. There has been an awful lot of exaggeration and misinformation in the press. This has been unhelpful, scaremongering and somewhat inaccurate. The work has not yet started. This work isn’t a portent of future development, it’s quite the reverse, it’s about protecting our greenspace. It’s also not the whole common affected, just two small parts of it. This isn’t about money, it’s about protecting the biodiversity we have and supporting some of our rarest species. Please take the opportunity to approach this with an open mind and explore both sides, not just the scaremongering. If you don’t listen to me, listen to a real wildlife enthusiast and nature lover like Chaz Mason. I’d say that neither I nor Chaz are generally considered fans of Walsall Council, but on this, they have a point. Here’s Walsall’s latest press release which details the scrutiny meeting. 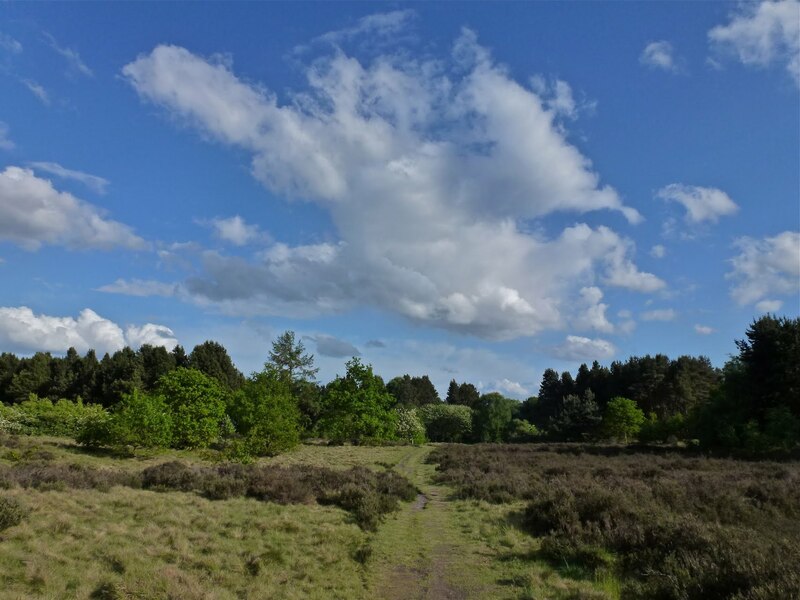 Heathland management at popular Brownhills Common will come under the spotlight later this month at a special scrutiny meeting being held to examine the issue. Walsall Council’s Community Services and Environment Scrutiny and Performance Panel will meet on Monday 13 May following a petition of more than 1,400 names that was presented to Full Council last month. Management plans for the next decade to boost historic heathland at the countryside site have been on display and people have been encouraged to find out more about the proposals. Some have raised concerns about the felling of trees at the common which is part of the Chasewater and Southern Staffordshire Coalfield Heaths Site of Special Scientific Interest (SSSI). The SSSI is important for its lowland heath and various wetland habitats, which Walsall Council has a legal obligation to manage appropriately. Councillor Val Woodruff, chair of the scrutiny panel, said: “We want to take a closer look at what is planned in light of the strength of feeling that has come from residents, nature-lovers and visitors and members alike – not least through the large petition that has been presented. The meeting will be held at Walsall Council House at 6pm. This entry was posted in Bad Science, Brownhills stuff, Chasewater, Clayhanger stuff, cycling, Environment, Events, Followups, Fun stuff to see and do, Interesting photos, It makes me mad!, Just plain daft, Local Blogs, Local media, Local politics, News, planning, Reader enquiries, Shared media, Social Media, Spotted whilst browsing the web, Walsall community, Walsall Council, Wildlife and tagged 13th, 2013, Brownhills common, Chasewater SSSI, Chaz Mason, Clayhanger Marsh Log, Conifer, Consultation, Countryside Services, cuts, Cycle rides, cycling, Events, forestry, Greenspace, Heathland, Kevin Clements, Leaflet, local blogs, Local History, Management, May, Morgan Bowers, Natural England, Plantation, scrutiny, Special, Things to do, tree removal, Twitter, Walsal Wildlife, Walsall, Walsall Advertiser, Walsall Council. Bookmark the permalink.